The "2 as 4 count" is a very versatile utility move which can be applied to any number of effects. 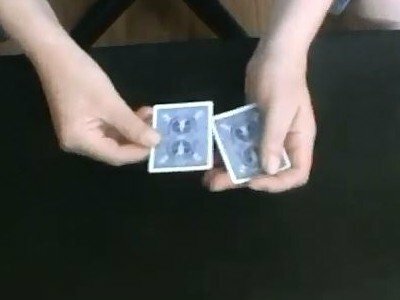 Peter goes into detail on how to grip the cards, make it look natural and even teaches you a little trick you can do with the move. People have been begging Peter to teach them his counts, that time has finally arrived! A very useful handling from the Lybrary which has many uses. The demo sequence does take some hard looking and dissecting to get what is required in the handling but once you do get the fingers and flow action running right..it looks really natural. It took about an hour to get it as shown in the clip. I give it four as I feel the clip should slow up the finger sequence a little more clearly. Go forth and spend your pennies..its well worth it.